Gift shops and the merchandise inside them are a core part of most museums — try naming an art institution that doesn’t take part. Sales not only shore up the bottom line but also help visitors bond with an institution, making them more likely to come back. Such operations are evolving. The Whitney Museum of American Art is now introducing a tie-in with its signature show, the Whitney Biennial, which tries to take the pulse of contemporary art. Five biennial artists are collaborating with Tiffany & Company — which is sponsoring this and the next two biennials with a gift of $5 million — on a series of limited-edition works. 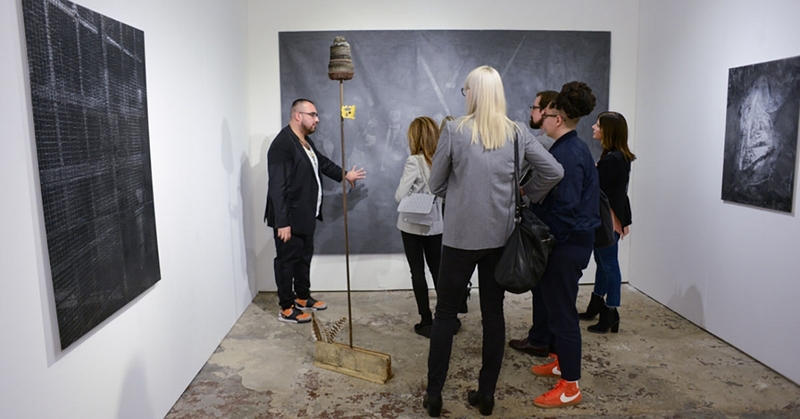 Priced from $2,500 to $10,000, they will be for sale in the Whitney store and at Tiffany’s flagship store in Midtown Manhattan in tandem with the biennial, which runs from March 17 through June 11. The venture — blending philanthropy, art and commerce — is new territory for the Whitney, which has never had such an extensive collaboration with an outside partner. The painter Carrie Moyer, who has several colorful works in the biennial, designed a sterling silver pendant called “Daisy” that is based on her collage work. Shara Hughes created a bone-china pitcher hand-painted in a loose manner to resemble her canvases in the show. Each is in an edition of 10. 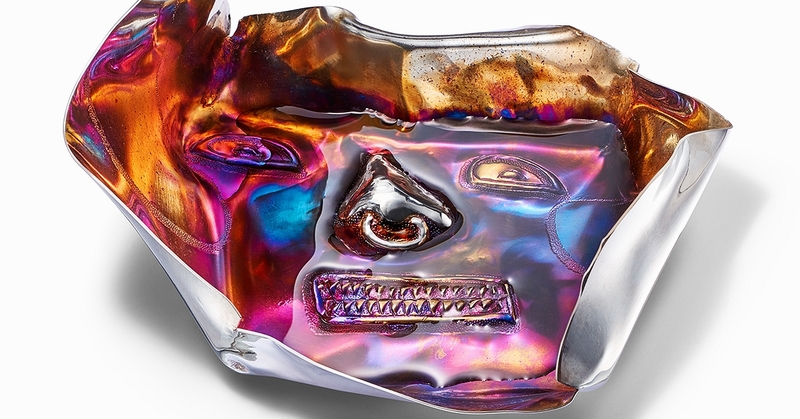 Harold Mendez, known for his mixed-media installations, created a piece that’s a far cry from the classic engagement ring in a blue box: a colorfully iridescent silver vessel in the shape of a death mask. The piece, in an edition of five, looks like a slightly melted face. If it’s hard to imagine Audrey Hepburn sidling up to the Tiffany window to check out a death mask, that’s the point. For Tiffany, which has built itself into a powerful luxury brand with broad appeal, the collaboration has been part of an attempt to re-emphasize its artistic roots: Charles Lewis Tiffany, the business’s founder, was a founding trustee of the Metropolitan Museum of Art, and the company later enlisted such artists as Andy Warhol and Robert Rauschenberg in collaborations. Beyond its significant donation, Tiffany felt like a good partner for the Whitney in trying something different that would highlight the content of the museum’s signature show. Perhaps appropriately, given that it’s one of Tiffany’s signature materials, silver was the choice for four of the five projects, including Raúl de Nieves’s “In the Beginning,” a sterling silver box. Noting that the biennial has sometimes proved controversial, Mr. Weinberg also applauded Tiffany for taking a chance. “You never know what the biennial will look like until it opens, so it’s very brave of them,” he said. Charles Lewis Tiffany founded the company as a stationer in 1837; later his son, the celebrated artist Louis Comfort Tiffany, was its artistic director, although he is better known for his own prodigious glassmaking, examples of which are on view around the country. Today Tiffany is a publicly traded company. 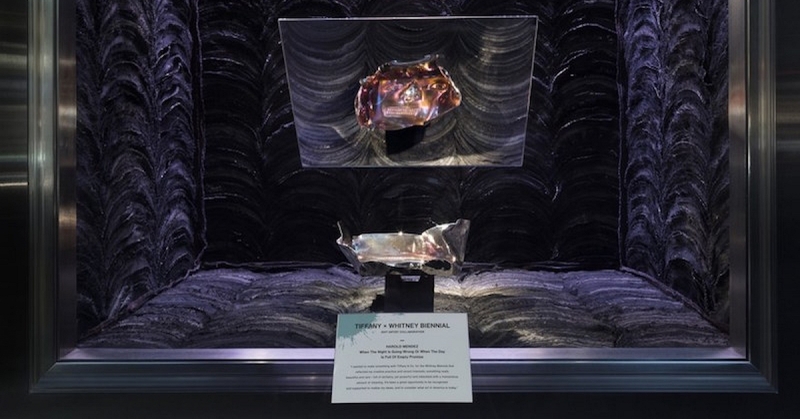 Mr. Weinberg stressed that the art objects made in partnership with Tiffany were at a remove from what was being exhibited. Whereas some museums have merchandising spaces just off their galleries, where they sell posters and other items based on the art visitors have just seen, the Whitney maintains only one store, in its lobby. “We’re not setting up a Tiffany shop in the galleries,” he said. According to the biennial curators, who suggested the artists for the Tiffany collaboration, twists and turns were part of the process. “The surprise is what the objects have turned into,” Mr. Lew said. The artist Ajay Kurian has a complicated installation in the biennial, “Childermass,” which includes a fog machine and fur, among other elements. For the Tiffany project, he did “Modern Secrets,” a sterling silver card case in an edition of 10. Its title seems to inject a layer of artistic ambiguity. But no one has tested the boundaries of the project as much as Mr. Mendez, whose silver vessel riffs on a Colombian death mask he knew from a museum in Medellín. In particular, Mr. Mendez relished his trips to the Tiffany holloware workshop in Cumberland, R.I., where a series of silver-polishing wheels that were colorfully caked with bits of silver and chemicals set his mind racing. 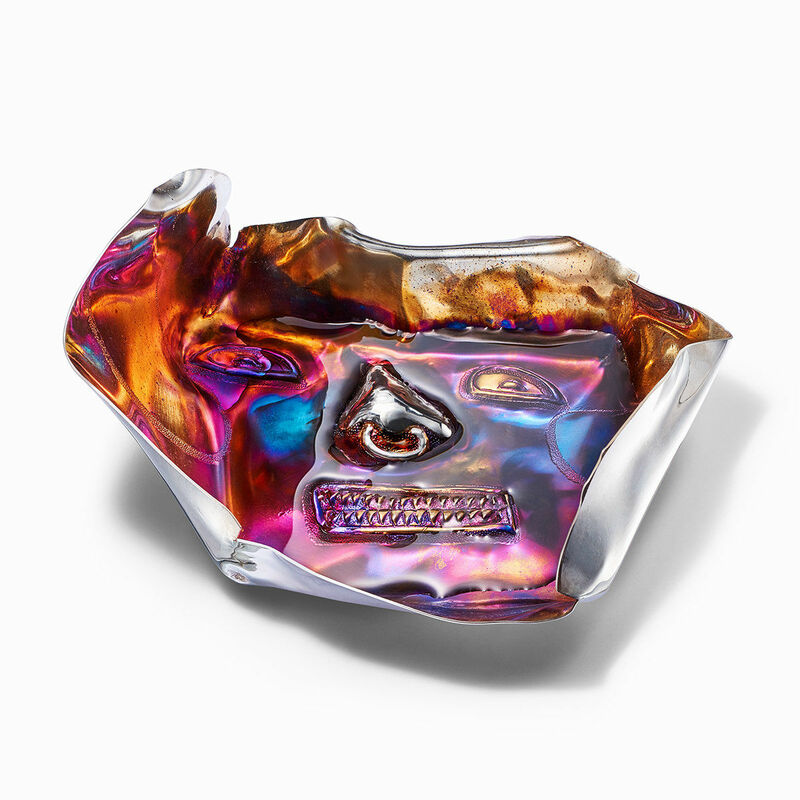 When he discovered a picture of an iridescent tea caddy from an old Tiffany catalog, it fired his imagination further. Mr. Mendez engaged in several months of back-and-forth with the Tiffany artisans on how to get the exact effects he wanted. The resulting vessel — with a built-in mystery typical of his work — is not a vase, he said. It’s meant to hold water, but Mr. Mendez doesn’t intend it to hold flowers. Mr. Mendez added that he felt he was able to preserve his artistic independence throughout the project.